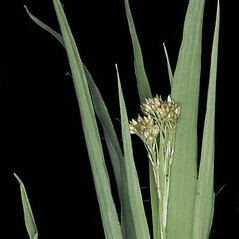 Small-flowered wood rush is a circumboreal species, found in boreal and subalpine habitats in New England. 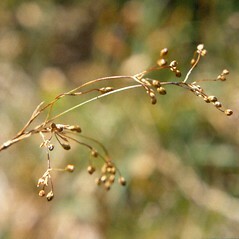 Research has shown that seeds have great longevity in the soil, and may survive in the seed bank for centuries. 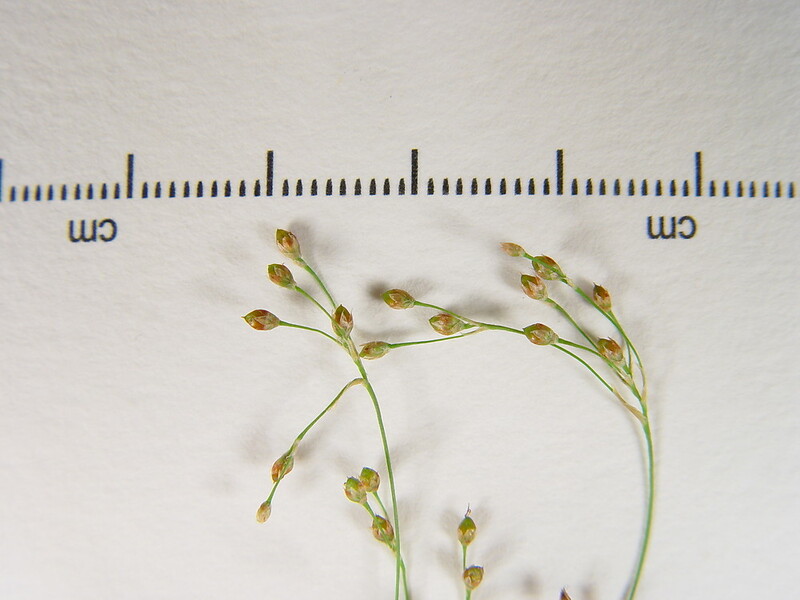 inflorescence with simple or once-forked branches and plants flowering in early through mid-spring (vs. L. parviflora, with the inflorescence with several-branched branches and plants flowering in late spring through summer). 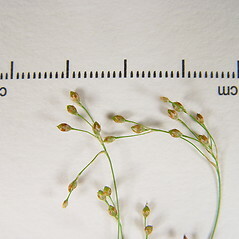 flowers in glomerules of 3-8 and anthers much longer than the associated filaments (vs. L. parviflora, with flowers solitary or paired and anthers equaling or shorter than the associated filaments). 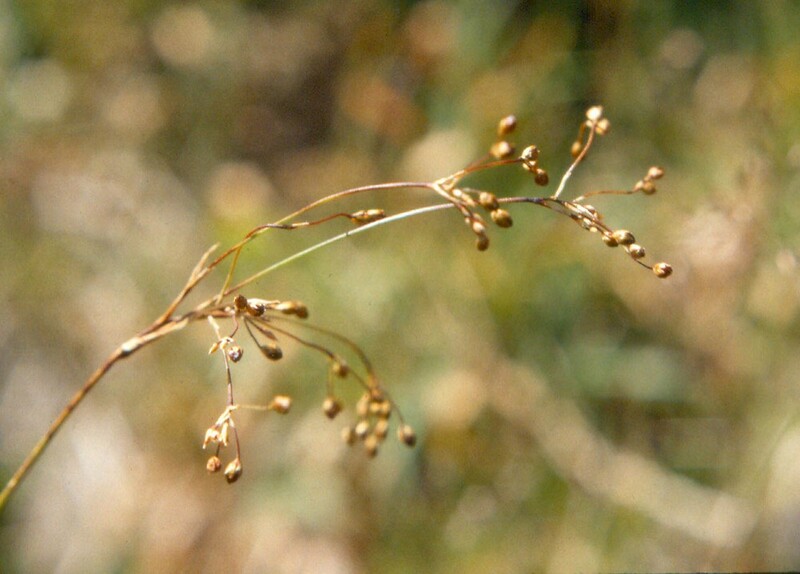 Luzula parviflora (Ehrh.) Desv. var. 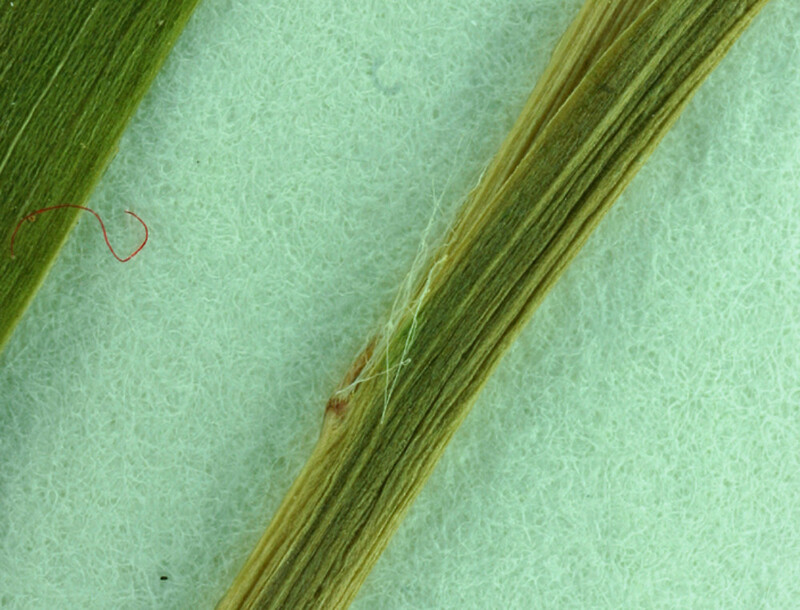 melanocarpa (Michx.) Buch. 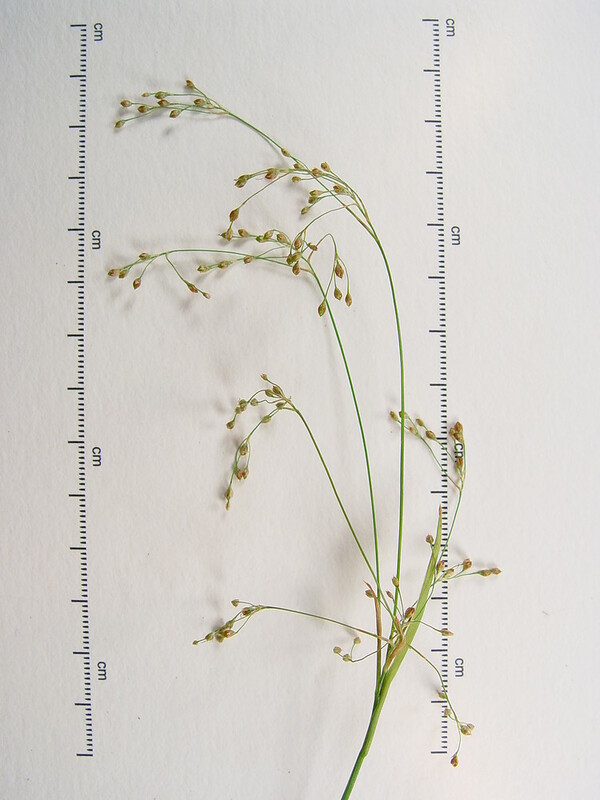 Our subspecies is Luzula parviflora (Ehrh.) Desv. 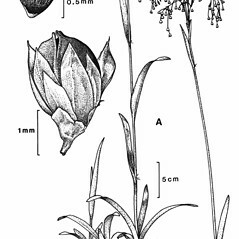 ssp. melanocarpa. 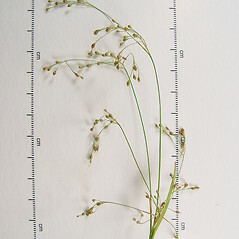 small-flowered wood rush. 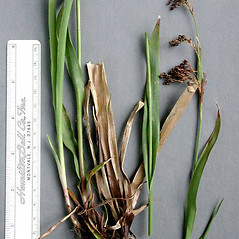 Juncus melanocarpus Michx. 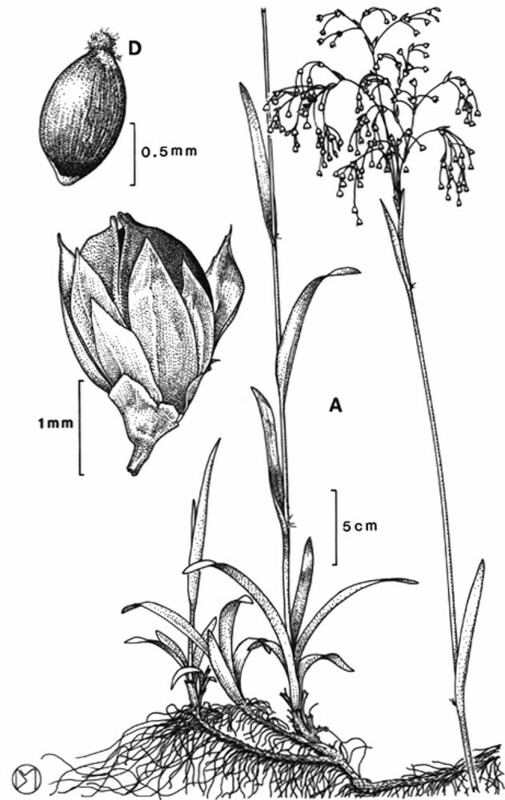 ; Luzula melanocarpa (Michx.) Desv. 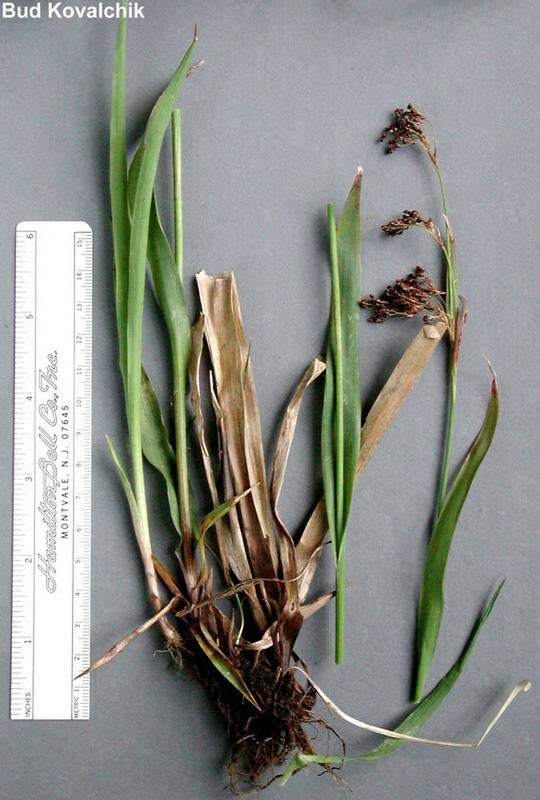 ; L. parviflora (Ehrh.) Desv. var. 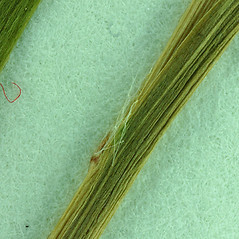 melanocarpa (Michx.) Buch. • MA, ME, NH, VT. Stream shores, gullies, mossy areas, and trail sides in boreal and subalpine areas.